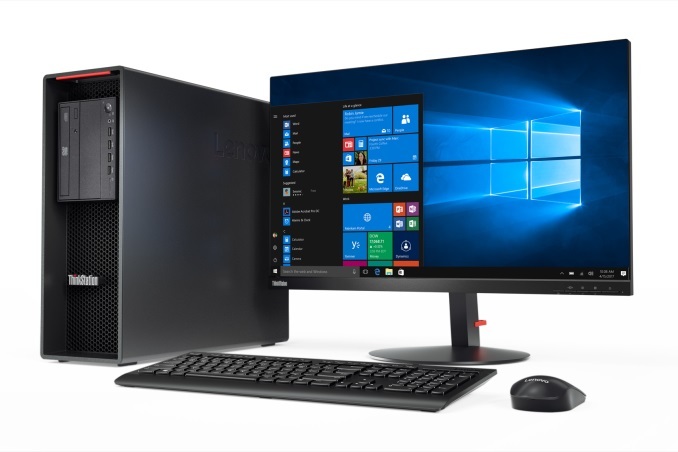 Today, Lenovo is announcing a new line of workstations under the ThinkStation P520 banner. Dubbed the ThinkStation P520 and ThinkStation P520C, the new workstations support Intel's new Xeon-W series processors from the quad-core Xeon W-2123, up to the 18 Core behemoth W-2195, and and paired with NVIDIA's Quadro professional graphics. The flagship P520 is geared towards creative professionals working with 3D animation and visual effects, while the P520c is a more cost-effective unit designed for educators and students. 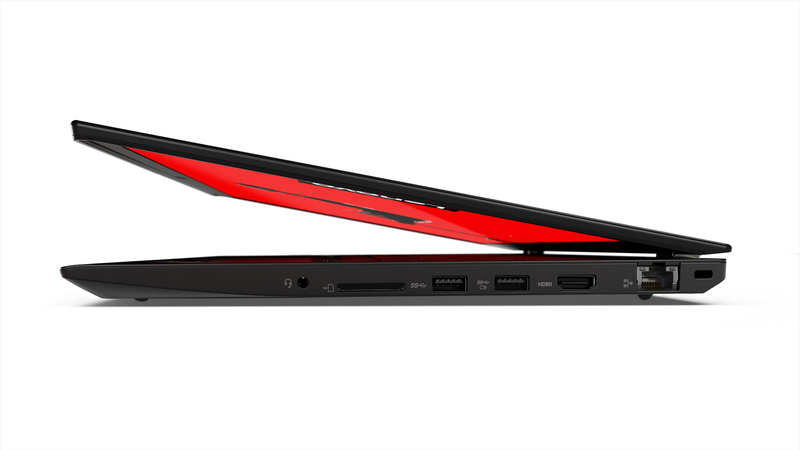 Meanwhile, along with the two desktop workstation, Lenovo is also releasing the ThinkPad 52s, their first quad-core Ultrabook mobile workstation. The 52s offers 8th Generation Intel Core i5/i7 processors as well as NVIDIA's Quadro graphics. 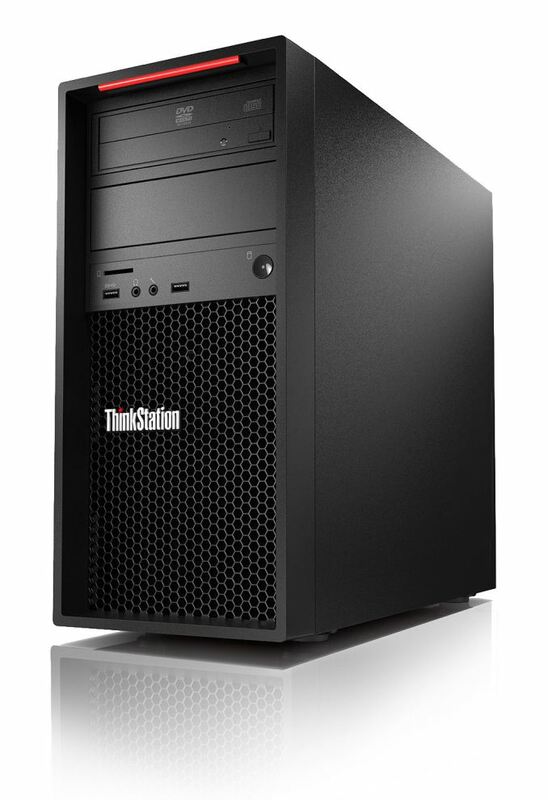 The ThinkStation P520 is able to support the 18 core flagship Xeon W-Series processor W-2123 on the C422 chipset with support up to 256GB of DDR4 memory using its eight DRAM slots. For Graphics, the P520 supports up to 2x NVIDIA Quadro P6000 cards able to deliver high-performance in demanding 3D applications. The chassis supports a total of eight drives, up to four internal bays, with either six 2.5(up to 12TB) or 3.5-inch (up to 36TB) and M.2(up to 2TB). Intel VROC is supported for NVMe SSDs, while RAID 0, 1,5, and 10 are options for SATA based storage. Connectivity wise, there are four USB 3.1 (5 Gbps) Type-A connectors an optional Thunderbolt 3 Type-C connector (via FLEX Module for front bay) as well as Microphone and Headphone jacks for front port connectivity. The back consists of four USB 3.1 (5 Gbps) Type-A ports, two USB 2.0 ports, two PS/2 ports for keyboard and mouse, Gigabit Ethernet, Audio, eSATA and Firewire connectivity. Wireless duties are managed by Intel Dual Band Wireless AC8265 device offering 2T/2R 2.4/5GHz and Bluetooth 4.2. The 520 has an optional 15-in-1 card reader (9-in-1 included), as well as a 9mm slim ODD. The ThinkStation P520c supports the same Xeon W series CPUs, up to the 18 core W-2123, but instead of 256GB DRAM support, it offers 128GB DDR4 2666 with four DRAM slots. The Graphics are different as well with the P520c supporting up to a single NVIDIA Quadro P5000 graphics card. Storage capacity is a bit less on here with the P520c supporting a total of six drives; four 3.5-inch (up to 16TB) or four 2.5” (up to 8TB). It supports RAID 0, 1, 5, and 10 on SATA as well as VROC support for NVMe drives. Connectivity for 520c front ports are two USB 3.1 (5 Gbps) Type-A ports, Microphone/Headphone jacks, as well as optional Thunderbolt 3 Support via the FLEX module in the front bay. The back panel has four USB 3.1 (5 Gbps) ports, two USB 2.0 ports, Gigabit Ethernet, Audio connections, eSATA, and Firewire connectivity. Wireless functionality is also handled by the Intel Dual Band Wireless AC8265 device. Optional removable storage for the 520c consists of either a 9-in-1 or 15-in-1 media card readers a 9mm ODD, or front accessible drive tray. 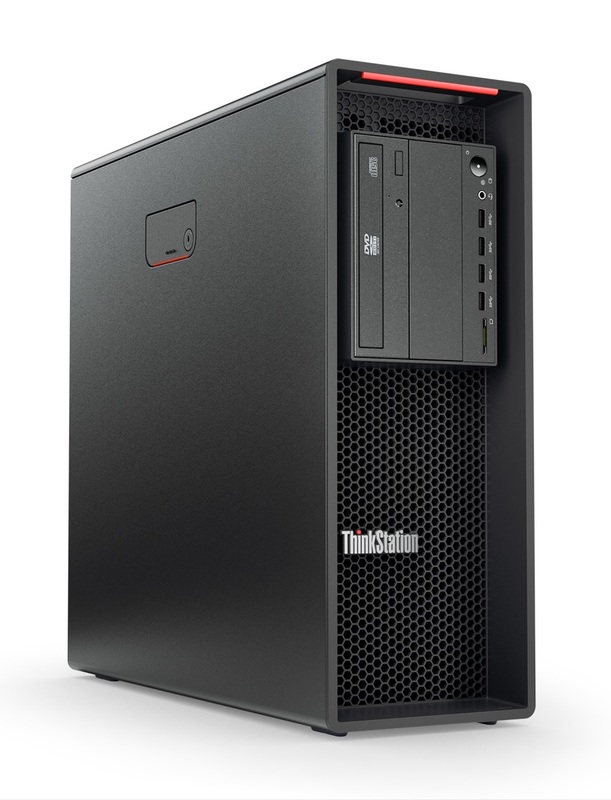 The overall aesthetics of the P520/P520C has not changed at all from its predecessors. The 520 is a rack-mountable tower measuring 6.5” x 18” x 17.3” while the 520c is a (6.9” x 16.8” X 14.8”) without a designation for being rack mountable. The cases are black with hexagon grills in front along with a red line at the top for some color. Dimensions 18" x 6.5" x 17.3"
The P52s, like the desktop workstations above, are a generational upgrade in that the internals have been updated to the latest hardware. In this case, Lenovo is offering increased core count and storage, while in true Lenovo business laptop fashion, the looks essentially stay the same. The P52s laptop uses the latest 8th Generation Intel Core i5/i7 processors, likely from the U-series processors which the P51s used, upgraded to the 8th generation i5-8250U up to i7-8650U. For graphics, it will use a NVIDIA Quadro P500 video card versus the M520 for graphics in the P51s. There are three 15.6” monitor options an available; a 1080p IPS, a 1080p IPS touchscreen, or a 4K UHD is also available. It supports up to 32GB of DDR4 2400 MHz DRAM in two SODIMM slots. Mass storage options include a single 5400 RPM HDD up to 2TB or up to a 1TB NVMe SSD. Battery options include a fixed 4-Cell 32WHr front battery with an upgradeable rear batter location. The options for the removable battery are 3-Cell (24WHr), 6-Cell (48WHR), or 6-Cell (72WHr). The included power supply is 65W. Connectivity on the P52s consists of two USB 3.0 ports (one always-on charging), USB-C, Thunderbolt 3 support, HDMI 1.4, Gigabit Ethernet, mic/headphone combo jack, and an (optional) smart card reader. Wireless duties are handled by the Dual Band Intel 8265 2T/2R with Bluetooth 4.1. WWAN duties are handled through Sierra EM7565, a 4G LTE-A embedded device, and the Fibocom L831-EAU. Also integrated is a 720p camera and optional IR camera. Overall, the P52s improves upon the P51s in storage options, the addition of integrated 4G capabilities, along with a nice bump in core count - doubling that of the P51s. Like the workstations above, there doesn’t appear to be any obvious aesthetic changes here either. Just a hardware upgrade. The P520 and P520c have ISV certifications for Adobe, Autodesk, AVID, Altair, AVEVA, Bentley, Dassault, Nemetschek, PTX, Siemens, Barxo, Eizo, and Mckesson software. The P52s is ISV certified for Autodesk, AVID, Bentley, Dassault, PTC, and Siemens software. The ThinkPad 51s, the previous generation model, is currently starting at $962 so we expect the pricing around there, if not a bit higher. 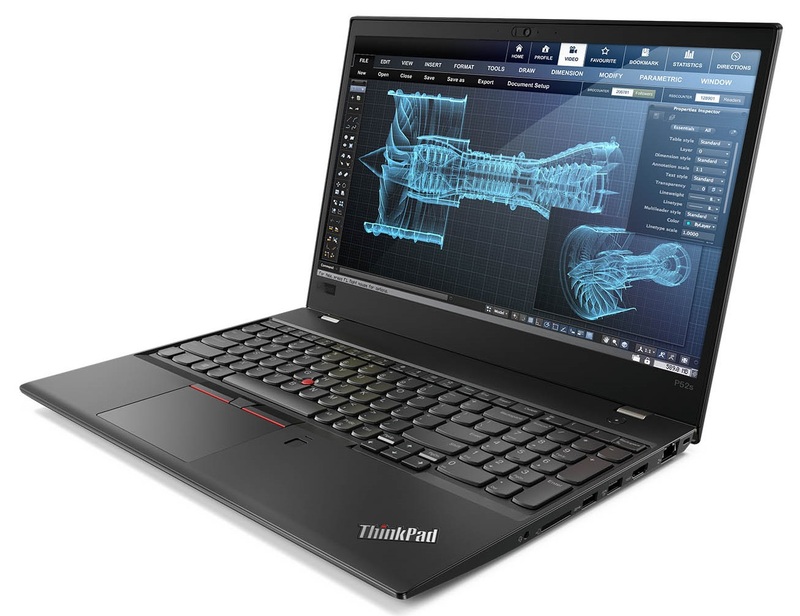 Pricing nor availability was mentioned in the documentation for the P52s or the P520/P520c Lenovo provided, but we expect to see these updated ThinkStations and ThinkPad on the market soon. When it comes to thin laptops, it makes no sense to invest in anything lower than AMD Ryzen Mobile. Sure, for the moment it is not available, but we sure hope that Lenovo will launch powerful ThinkPad models powered by AMD. The nVIDIA Quadro is tempting and may be interesting for some, but AMD's own FirePro Graphics is also a very good solution while the integrated GPU has double the performance of whatever Intel can bring. We have clients asking about 17" AMD Ryzen Mobile solutions and frankly, they don't exist yet. As for the desktop workstation, paying extra for the Intel's NVME, extra for the higher power consumption, getting less RAM capacity, less PCIe links and an almost guaranteed lack of upgrade-ability doesn't really make any sense in front of AMD's EPYC or ever AMD Threadripper. A 1S EPYC with the posibility of a 64 core upgrade in 2018 is what we all want for such a workstation. The expensive 18core Intel Lenovo with less I/O less RAM and pay extra 300 USD for NVME RAID is clearly the worse option. I almost thought this was huge news if Lenovo could some how squeeze and 18 Core Xeon-W into laptop with decent power for laptop.